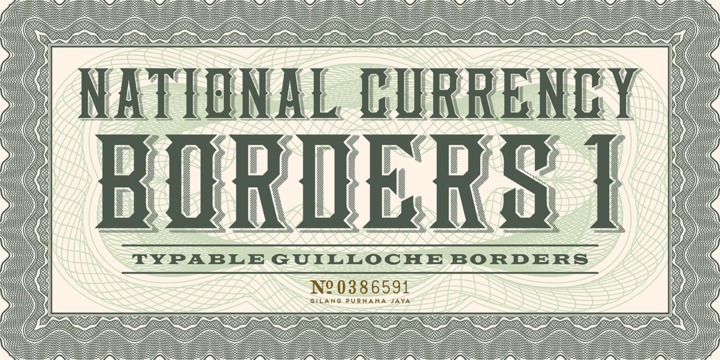 National Currency is a typeface published by Decade Typefoundry. It has old letter and two guilloche borders inspired by a 19th century certificate. Enjoy! A font description published on Friday, March 22nd, 2013 in Decade Type Foundry, Fonts by Alexandra that has 6,879 views.